Blogging for fun or profit? How about both! Blogging is a buzz word that is not always understood. Learning how to blog has benefits beyond just having a website. Blogging tends to be more current and topical. In today's world the speed of news and knowledge is a critical component in being relevant to consumer needs. Those that do it have learned the ropes and you can too. The following outline was prepared to give a basic overview of blogging, what it is, how it can benefit you and your business. The term is a contraction, coming from weblog. A blog is actually a website where the entries are made in reverse chronological order. 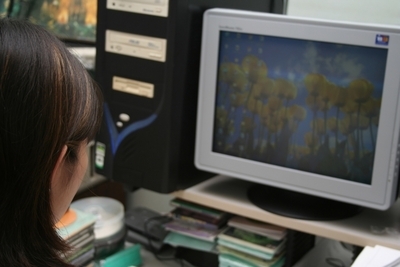 Blogs elicit comments from readers, sometimes spurring conversations and additional ideas. Bloggers "link" their blogs to other blogs, depending upon topic, friendship and interest. As a vehicle for social networking, blogging is a wonderful way to learn how others solve the same problems you come up against. Publishing your thoughts to the world, empowers others insight to you and how you do business, bringing a new level of intimacy to the realm of the business world. People like to do business with people they like, who have helped them with support, concern and knowledge. Social networking sites like this one on Active Rain achieve that goal. Additional benefits involve the backbone of the Internet, search engines. As you blog about your business, the search engines index (catalog like an invisible librarian) your words. As a consumer keys into the their computer a query, you and your business will come up. That is the ultimate marketing result you want...and it's free. Blogs are pull marketing. The difference being best illustrated by analogy, "Consumers do not enjoy or want advertising pushed in their faces, until they need what it is you are marketing. By blogging you can be present and available for those consumers when it's time for them to find you. And it's free. Absolutely not! Today's blog platforms (tools to blog) make blogging as easy as sending an email. You log on to your blog, write some thoughts and push a button to publish to the world. You can include photos and link to other sites, check your spelling, any number of things, it's very simple. Where can I find a Blogging Tools? 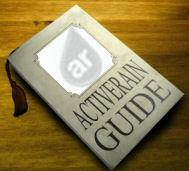 ActiveRain is a combination of blogging tool and social networking group. This relatively new phenomenon started this past summer (2006) and through viral marketing alone has over 6000 members. It's free, fun and incorporates the benefits of blogging into a responsive and supportive real estate community where you can learn new skills and share your expertise. Blogging on Active Rain can be directed to consumers, on a local or national level and/or to the industry users. Participates on Active Rain have taken to calling themselves Rainers. The Rainers post blogs about events that occur in their lives, business situations and how they should be solved. Much advice is dispersed on Active Rain, with the various points of view taking on some controversy. It is not unusual for a Rainer to share suggestions for improving one's personal website content or positioning. Real estate is discussed more often than not, but other topics relating to the business are welcome. For many blogging has become a way of life. It is fulfilling a need to communicate, learn and be part of a community. IF you would like to get started or learn more about blogging on Active Rain follow this link. Think About the Future… ADD VALUE.